This class involves 3 sessions and will cover fundamentals of aviation and the use of the excellent (and FREE!) flight simulation software FlightGear. Students are encouraged to bring their own laptop or desktop computers or can use our computers at no extra cost. Students can continue their experience and learning at home with full instructions on how to download and use this safe and open-source software. Flight simulation is not just a game. The FlightGear software involves understanding and using many concepts and vocabulary of physics, aviation, distance, time, speed, relative speed, hand-eye coordination, geography, collaboration with other pilots, and more, and helps to develop prolonged concentration while learning. The software utilizes real-world airports and aircraft. The class is instructed by one of our long-time, student-mentors who teaches aviation and astronomy in Robotics And Beyond summer camps and after-school programs. Calling All Coders! Code Talkers is coming. Once/month. At the first session, we will decide on the best date for the next one. There is no cost for this event but a $5 donation to the Robotics And Beyond tuition assistance pool will be appreciated. Age range around 8 to 105. Call it Coding or Programming, there are many exciting things going on and we see a need for a place to share and learn. This is an opportunity to share what you are doing in programming, in any language or application, or to get help with coding projects you are working on. This will be a very informal get-together. Each event will allow 10-20 minutes each for several projects or topics to be presented and provide time to work on projects and ask for help. Students and adults are welcome. We expect to have topics like mod-making and game servers for Minecraft, Android Apps, game development, website development, C++, Raspberry Pi and Python, Arduino, old-little-used languages, far-out topics like coding with Mathmatica and anything else that someone is interested in. No project is too small, too big or too silly sounding! No registration is needed but you must contact us to be a presenter. To propose a topic to present or for more information, send a note to Codetalkers@roboticsandbeyond.com. Please include Codetalker in the subject line. FREE! Current and past Robotics And Beyond students in grades 9-12 can meet and ask questions of our "graduates" who are now in college and eager to share their experiences. Colleges being attended include RPI, Champlain College, UConn, Buffalo State Univ., Kettering Univ., WPI and Univ. of Vermont, among others. Study majors include Cybersecurity, Robotics, Mechanical Eng., Computer Science, Electrical Eng., Mathematics, Pharmaceutical Science, and others. Take the mystery out of computers! Learn the fundamentals of computer science by designing and building your own computer, whether for gaming, general use or programming projects. We have built many computers from the motherboard up and made some pretty funky case designs, as well. You will learn basic system components, specifications and compatibility, as well as associated costs, and where best to purchase parts. 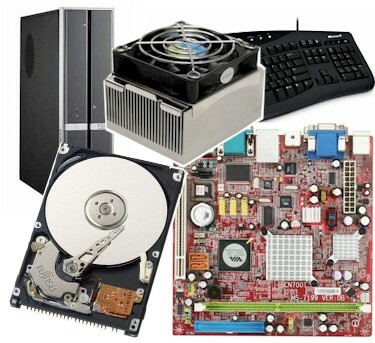 Learn how to assemble all of these components into a working computer and save some money along the way. Custom builds can cost as little as $200-300 (and up to $1000+ depending on the desired performance and the availability of parts). From the parent of a 12 yr. old student in our Computer Build program: "The follow-up from you and your team made the build a success and a great learning experience, even though it was a little more than any of us probably anticipated. Without your patient support and troubleshooting, it would not have worked. He's really happy with it and it's a big achievement." Ever make your own glue? Think you could design a bungee-jump for an egg? How 'bout engineering your own, unique marble-run? If these are the sorts of challenges and experiments you wish Mom would let you do at home, then come join us for some fun ... and maybe even a little bit of competition! 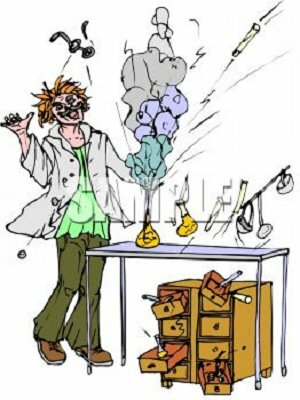 Have an idea for a science fair project? Graduating high school Senior with a project requirement? Just have a really cool idea for something you want to work on? We can help you rough out your idea, connect you with industry professionals working in relevant fields, and provide the space and tools needed to accomplish your project goals. Email us at info@roboticsandbeyond.org to discuss details. PLEASE NOTE: The workshop scheduled for February 7 has been cancelled. The next workshop will be held on February 14. In this 2-hour workshop, new students will learn fundamental vocabulary of CAD and software tools using a simplified but industry-relevant CAD software program called Autodesk Inventor. Students will create a simple object and learn how to convert their design file to the required format and create their object with our MakerBot Replicator-2x 3D printer. Students with some experience can pursue more challenging designs with help from our mentors. Autodesk Inventor is free for students. Computers with this software will be provided by Robotics And Beyond. Students may bring their own computer and, if possible, we will install the software for use at home. A guide for installing it at home is given below. For software installation if desired: Go to Autodesk. Follow instructions on page, making sure to select correct operating system. After installation finishes, choose no other software. On the next screen, choose to download only Inventor. The other options are not useful for you in this class. Wait for download to finish. You are ready to use Inventor! Calling all Junior Makers! We will explore the world of Makey Makey and discover what types of objects can conduct electricity, and we'll make beautiful music together. 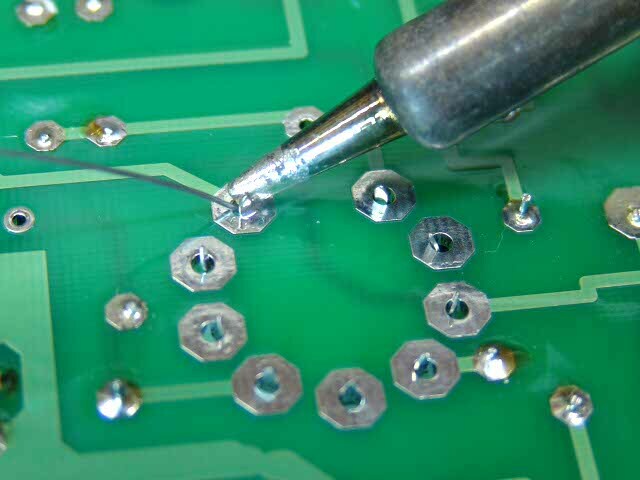 Soldering opens up a huge range of project opportunities. Also, we have been told by our "graduates" now in college that this is one of the most valuable skills they brought with them freshman year and into summer jobs and Co-Op jobs. Learn soldering techniques while working with simple electronic devices such as resistors, capacitors, transistors and light-emitting diodes (LEDs), and make a circuit board device you can take home. Advanced projects are available during the same class for students with prior experience. This 90 minute workshop will provide students with hands-on, interactive fun as they're given opportunities to experiment with: changes of state, solids, liquids, gases, evaporation, condensation, melting, freezing, sublimation, density-specific gravity, and relative density. A worksheet will be provided to help students retain what they have learned. Workshop content can be tailored to all ages. "Don't just play Minecraft, Learn From It! "(TM) Minecraft is a great game for creativity and problem solving. Working with Redstone is great for learning to design solutions for complex problems and even to learn about circuits and switches. Creating Mods using programs like MCreator teaches new skills and Mods also are great motivation to learn to program in Java. Just getting started in Minecraft and creating worlds and learning to do basic things is a lot easier with a little help. Intermediate skills like Redstone and creating or downloading and using Mods can be tricky. And how do you even get started to learn Java? We are now offering instruction and mentoring in these Minecraft topics in weekend Workshops, multi-session classes as well as during some Out-of-school/Open Studio days. NOTE: Be sure to let us know if you are an Apple computer user so we can have the right mentors available. We have learned that M-Creator is very difficult to use on Apple computers. If desired, a separate class can be offered to see if we can get MCreator to work on your Apple laptop or desktop computer. You must register ahead but if you are deciding at the last minute you can still call and see if there is room. 860-799-5200. We prefer payment ahead through our website but you may also pay at the class.w to write your own mods in our Minecraft programming classes. You must register ahead but if you are deciding at the last minute you can still call and see if there is room. 860-799-5200. We prefer payment ahead through our website but you may also pay at the class. Robotics And Beyond has held a number of classes on programming in several languages, with students of a wide age and ability range. We have recognized that students need to understand some very basic concepts of programming before starting to learn a specific language. This class introduces four major concepts of programming and other vocabulary and concepts that nearly all languages rely on. To understand and practice these concepts, students will use simple programming tutorials and games we have created or borrowed from other sources. These exercises will include both simple drag-and-drop building of programs and an introduction to coding with the text-based language Python. Following this class, students can take classes in specific programming languages. Students will benefit most by bringing their own laptop or desktop computer but we can provide computers for the student at no extra cost. All tutorials are available for students to continue to use at home at no cost. A Raspberry Pi is a fully functional computer that is the size of a deck of cards. The Pi needs only a keyboard, mouse and monitor to be used for many purposes including game development and coding in various languages. 1)Learn how to build and program with the Lego-based robotics system, including motors, sensors, gears and other interesting parts. 2)In later classes, move on to more complex Lego NXT projects or robots based on circuit board electronics and text-based programming using our large supply of Parallax and Arduino components, with lots of project ideas and step-by-step guides. We introduce and reinforce the concepts of fractions, percent and decimals using a game of catch with soft, colored balls between two players. It is high energy and really, really fun way to learn in a way that is so important to all young people: play and competition! Using balls of different colors, we introduce important concepts of probability functions and the math that goes along with them. This is an excellent class for grades 4-8. We are voiding warranties! 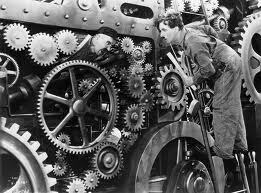 Bring in an old VCR, cassette player, camera or other "old fashioned" device with lots of parts. We are going to open them up! We'll pull out a few things, maybe re-wire a few others, get an understanding of how the whole thing works, and maybe even fix something if it's not too far gone. If you don't have something at home to bring with you, no worries! We'll supply something.